Sizzling, sultry, simply unforgettable. 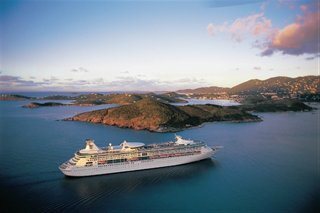 Grandeur of the Seas® delivers exciting city moments, white-sand beaches, plus the rich history of the Mediterranean – all in the course of a year. Onboard, be pampered at the VitalitySM Spa or find your retreat at the glass-canopied Solarium adults-only pool. There's adventure to be had, too, with rock climbing, the Casino Royale®, stage shows, live music, bars and lounges.